Pakistan, like many other countries in Global South, has seen an increase in the use of internet usage over the past five years, along with an alarming rise in the censorship and blocking of content online. With the new pro-business government of Pakistan Muslim League-N led by Prime Minister Nawaz Sharif in place, many in the country were hoping in 2014 to see new policies for development of internet and protection of freedom of internet. But the trends of 2014 showed the Sharif administration becoming merely the latest in line pursuing old policies in line with military and civilian law enforcement agencies restricting information and communications technologies (ICTs) citing national security. Human rights watchdogs have also blamed them of strengthening military and police powers, instead of addressing past abuses. The previous regimes in Pakistan preferred a behind-the-scene approach for controlling internet freedom but the Sharif regime in its first 18 months in office has been vocal in the Parliament and on media for using strong measures to censor social media in the name of combating terrorism and safeguarding Islam. Online censorship in Pakistan continued in 2014 to reflect political motives in acquiescence of greater pressures of religious extremists. The controversial blasphemy law also influenced a series of incidents which violated internet user rights during 2014. Four women were violently killed in rural areas of Pakistan for using digital technology, which their communities condemned as immoral. In the central province of Punjab, several people faced blasphemy charges based on SMS or Facebook messages, including one couple in their 40s who were sentenced to death, even though the phone they were accused of using was not in their possession. A lawyer defending another digital blasphemy suspect was lethally shot in his office for accepting the case. The YouTube ban in Pakistan entered its third year in 2015. The video sharing platform has been completely blocked in Pakistan since September 2012, when an anti-Islamic video sparked unrest around the Muslim world, including in Pakistan. Despite claims made by the government time to time in restoring access to the popular video sharing website, access to YouTube still remains blocked and there is little optimism that the situation will change in 2015 on this count. But perhaps what was most alarming in 2014 was the range of technologies being adopted for censorship on the internet and blocking of online content without any legislative framework in place giving way for oppression of freedom of speech and political dissent. The rhetoric of cultural protectionism and national security has resulted in alarming rise of internet censorship where websites, social media pages, blogs and accounts have been blocked on religious and national security grounds. Online discussion and tweets have been manipulated by paid commentators spreading misinformation and military propaganda on social media. The issue of manipulating online discussions and political dissent in Pakistan’s restive southwestern province of Balochistan is much severe where apparently paid political propagandists are hijacking political discussions and human rights issues. In 2014 international think tank Citizen Lab presented solid evidence of surveillance system “Netsweeper” being used on servers of Pakistan Telecom Co Ltd (PTCL) in Pakistan. Later civil society group Digital Rights Foundation presented an investigative evidence-backed report where it was established that Pakistan is the customer of notorious surveillance software Finfisher since 2013. In Pakistan, while the term ‘privacy’ was used in the legislative process long before more developed countries did, it has become increasingly intrusive of its citizen’s private lives online, censoring content on a whim, impacting freedom of expression. Journalists and dissidents online are emerging as the most vulnerable communities in Pakistan because of the lack of digital security awareness and relevant cyber laws. These groups have historically remained prime targets of coercive censorship and surveillance. Not only journalists in Pakistan embrace self-censorship as a routine due to this, there have been several instances of them being abducted and threatened in case something they talk about contradicts or hurts the official national security narrative of the state at large. 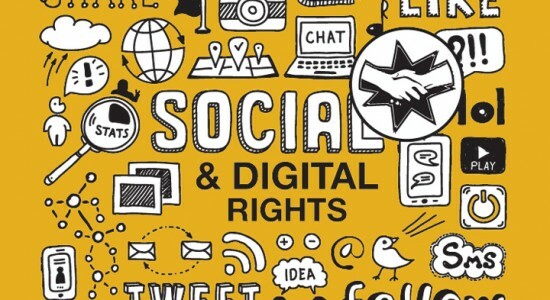 A major challenge – providing legal protections and mechanisms in terms of digital rights for Pakistanis – that remained a hallmark of 2014 is set to remain in 2015. At the start of 2015 Pakistan continued to lack a comprehensive cybercrime law. A draconian piece of law, the Prevention of Electronic Crimes Ordinance-2007, issued by military ruler Pervez Musharraf, lapsed in 2009 and since then has not been replaced by another law to provide legal remedies to the growing victims of cybercrimes in Pakistan, although in 2014, several legislations were passed that curb freedom of expression in both the offline and online spaces. The Pakistan Protection Act-2014 is one of them which categorized unspecified “internet offenses” as terrorism, with suspects liable to arbitrary detention. Similarly, in the wake of a vicious terrorist attack in December 2014 on a school in Peshawar in which over 130 students were killed, the government came up with some bizarre media policy recommendations which, among others, contain a section on social media intending to control internet space by actively monitoring and surveilling internet and social media users. According to Freedom on the Net report 2014 by Freedom House “Pakistan scored 69 points (on a list of 0 to 100, where 100 is worst) and is categorized in the “Not Free” list of countries, two points down from the preceding year’s rankings. It will be major challenge for Pakistan to improve its categorization in 2015 in this internationally and widely recognized ranking. Pakistan is in dire need of strong, citizen-centric cyber laws that provide for guarantees and legally enforceable mechanisms to ensure respect for civil liberties online and which reflect international best human rights standards.